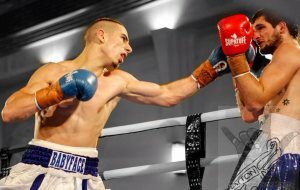 World rated Super Featherweight Billel “Baby Face” Dib (22 wins – 3 loss) will return to the ring on March 30 at the Seagulls Stadium in Tweeds Heads, NSW Australia. Dib is the current WBA Oceania Super Featherweight Champion and World number 10. “Baby Face” has endured a brutal training regime to get his opportunity of boxing immortality by edging close to a World title shot. Just like my last camp, training has been second to none. Sparring is great, we have great sparring in our team, Moloney twins, (Jason and Andrew Moloney) Bruno Vifuaviwili (Tanzanian) and also our new team mate Furkan who is going to do big things in the sport. I’m working hard day in and day out to become world champion. Manager Tony Tolj gave his take on the March 30 Promotion and his plans for Dib going forward. “We have a great card full of WBA title fights that include WBA World #3 Jason “The Smooth” One defending his WBA Oceania Title and “The Captain Kerry Foley contesting WBA & WBC regional titles in our block buster card as well as a stacked undercard as part of our Boxing Mania 5 event.